Two U.S. Navy ships that were involved in deadly collisions this summer did not meet training requirements, according to Government Accountability Office data, which CNN obtained. The failures: 10 out of 10 warfare mission areas expired for the USS Fitzgerald in June. 6 of 10 expired for the USS John S. McCain. The trend: 37% of the training certifications for the Navy's 11 cruisers and destroyers in Japan expired this June. Two-thirds of those had been expired for at least 5 months. 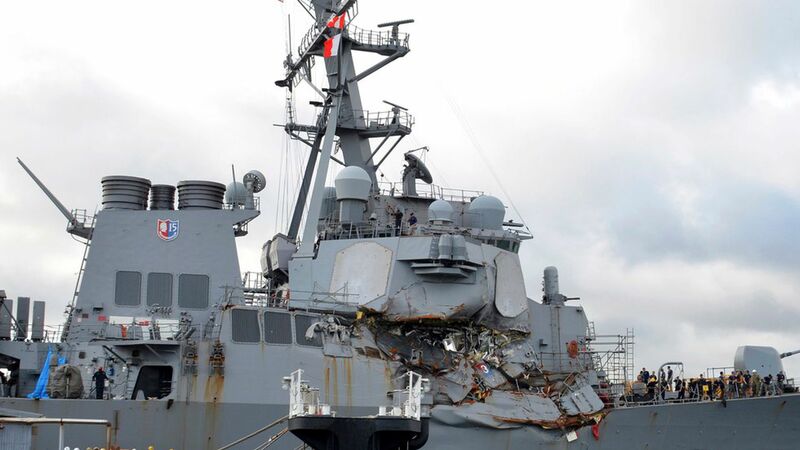 Quick catchup: The USS Fitzgerald's commanding officer, executive officer, and senior non-commissioned officer were relieved of duty after its collision. The U.S. Navy is currently undergoing a review of how it trains, maintains, and deploys fleets in light of the recent deadly collisions.